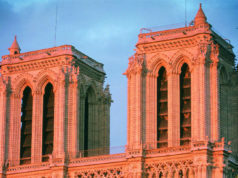 When you think of France’s wine-growing regions, Paris doesn’t immediately spring to mind. How delightful to discover the pretty working vineyard, on top of Montmartre hill, in the shadow of Sacré-Cœur. 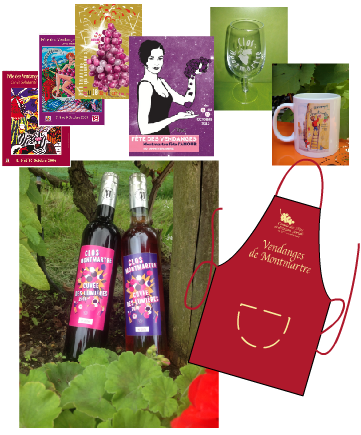 In October there’s a chance to celebrate at the annual “Fête des Vendanges” grape harvest festival. 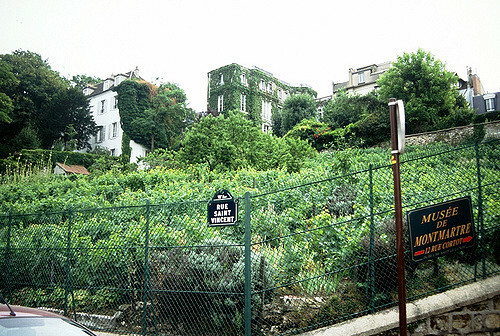 Vineyards have flourished on Montmartre since the Romans built a temple dedicated to Bacchus, god of wine. In the 12th century a Benedictine Abbey stood on the hill – destroyed during the French revolution although Clos Montmartre was spared. In the early 20th century phylloxera destroyed the vines and, due to the annexation and subsequent urbanization of Montmartre by the City of Paris, the vineyard lay fallow. Enter a band of feisty local artists led by Francisque Poulbot (1879-1946), who petitioned the government to grant them the land so they could re-plant the vines. With vision, Albert Lebrun’s government approved the plan and “Clos Montmartre” was re-planted in 1933. 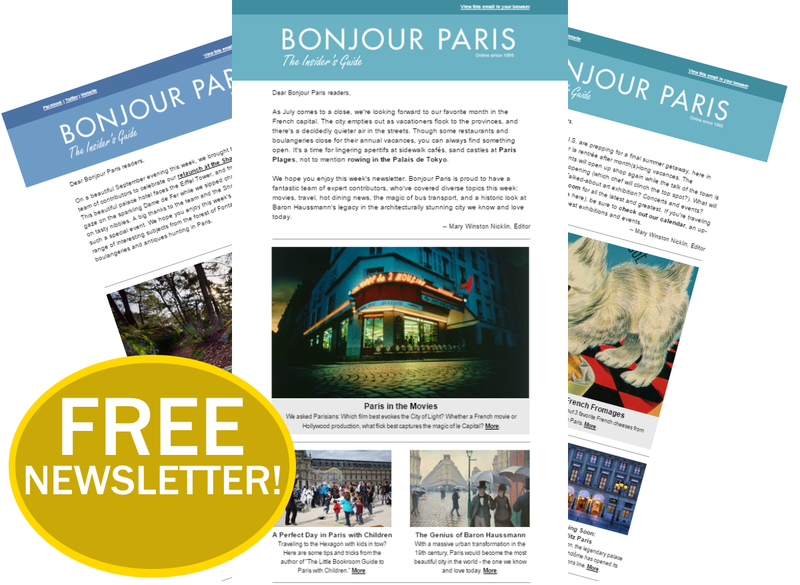 It also comes as a surprise to discover that Montmartre is a Republic created in the 1920s by a group of artists to preserve the rebellious local spirit and help the poor and needy. The 560 members of the Republic’s Council– a gregarious cross section of politicians, ambassadors, writers and musicians– celebrate Les Vendanges wearing traditional robes. 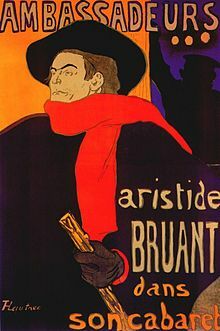 For official ceremonies they don bright red scarves, black capes and hats – it’s pure “Aristide Briand” as depicted in Toulouse Lautrec’s 1892 lithograph of his friend the cabaret singer. 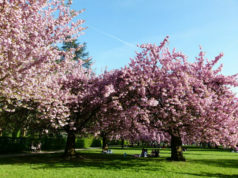 The vineyard, funded by the Mairie de Paris, covers 1,556 square meters yielding about 1,500 half-liter bottles of Gamay and Pinot Noir annually, most of it auctioned for local charities during the five days of the festival. The wine, (selling at about €50 per bottle) with labels designed by local artists, is considered “a decent enough beverage,” by critics. 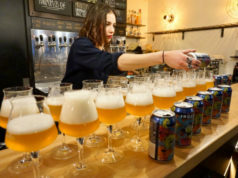 “We buy it for pleasure, as a souvenir of a fun event, recent bottles have become collectors items,” notes food writer Alain Neyman of www.lesrestos.com. Entry to the vineyard is by invitation only from Montmartre’s tourist office, place du Tertre, two minutes from the vineyard. However, just wire netting comes between you and the vines so even without an “open sesame,” head for the corner of rue des Saules and rue Saint Vincent; behind is Musée Montmartre, once home to Maurice Utrillo who took up painting as therapy having been institutionalized for alcoholism aged 19 – from the museum a secret passage leads directly to the vineyard. This year’s theme is Peace (and love). And, by tradition, the Fête des Vendanges and the Mayors of Paris and Montmartre, invite a Marrain and Parrain (Godmother & Godfather) to sponsor the festivities. Previous invitées include Fernandel, Claude Lelouch, Victoria Abril, Sophie Marceau, Naomi Campbell, Carole Bouquet, Audrey Tatou (The Fabulous Destiny of Amelie Poulain), and there’s always a tribute to the very first Godmother of the Festival, in 1934, Mistinguett. This year the honor goes to Emilie Satt and Jean-Karl Lucas, aka the French electro pop duet Madame Monsieur who represented France in Lisbon for Eurovision 2018 (finishing 13th). Watch the coronation of Clos de Montmartre’s Queen des Vendanges and the intriguing “Ceremony des Non-Demandés en Mariage,” an amusing way of not marrying your partner, followed by the open-air “Bal des Non-Mariés”, at Place des Abbesses, where singletons celebrate “not” getting married. The vineyard and the Fête go from strength to strength, celebrations wrap with fireworks, a ball, free to everyone, and a sound and light show over Montmartre, to honor Parisian viticultural heritage. 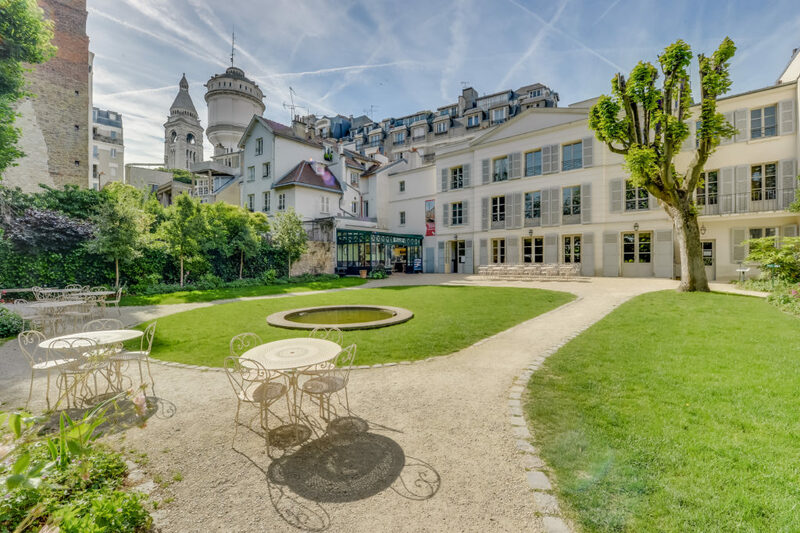 Tthe Renoir Gardens – dedicated to the artist who lived and painted here (Le Bal du Moulin de la Galette) from 1875-1877 and the recently opened, très sympa Café Renoir.